Once again it is high summer and time for garden tours. Santa Feans have a selection of garden tours to choose from. 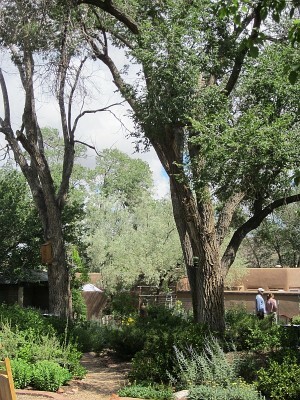 Tours range from Behind Adobe Walls and the Botanical Gardens to gardens that are a bit more home grown. 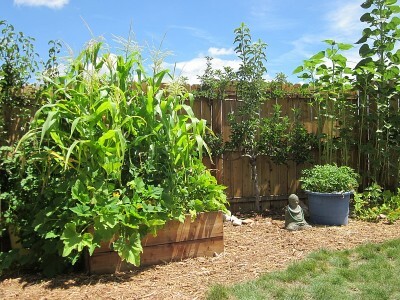 As our garden is relatively modest I find inspiration from similarly DIY gardens. 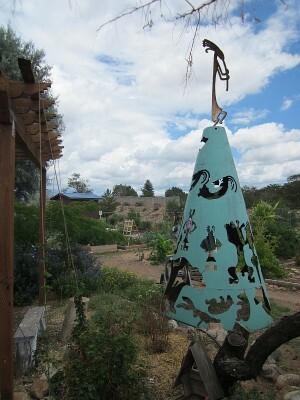 Home Grown New Mexico held their 3rd annual Kitchen Garden & Coop Tour in Santa Fe on July 28. Once again I biked the garden tour (easier parking and just as fast as driving! ), had a great time and narrowly escaped a drenching downpour. Gardening in the Southwest is (almost) all about water - and we still need much more rain water catchment capacity! Using raised beds and imported soil is a quick way to deal with soil problems (too sandy, too clayey, not enough organic matter, etc.). I envy the homes on a big lot, but I don't really want more weeds to pull. I envy the homes with huge, mature trees. 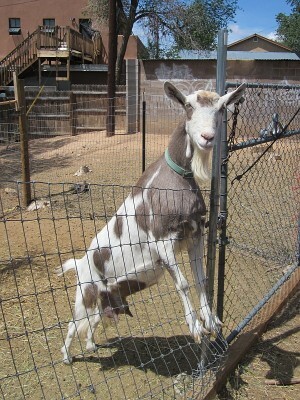 "The best time to plant a tree was 20 years ago..."
Goats are very cool, but I think I'll leave the livestock husbandry to others. If you have chickens, cover their run with wire mesh to keep out owls and hawks! If you have chickens, you're going to have mice too. 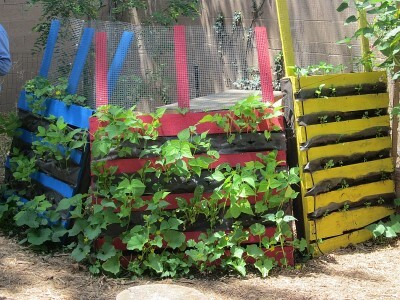 There are a lot of gardeners in Santa Fe who are way more ambitious than I am! "The best time to plant a tree is twenty years ago, the second best time is now. Someone's sitting in the shade today because someone planted a tree."